The drought here is scary, lots of water conservation warnings and disturbing images of dried up rivers and lakes. 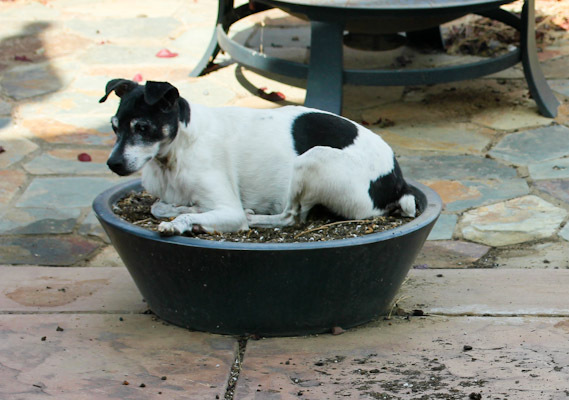 We’ve put our garden plans on hold until conditions improve to conserve water, so we have a lot of dry dirt pots in our backyard with no plants. Skipper has decided they make good beds. 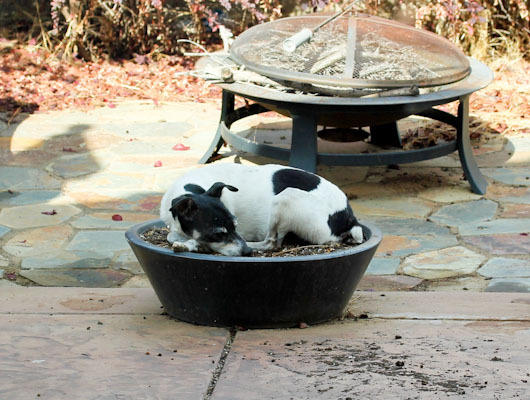 We’ve been wondering why kicked up dirt keeps showing up around that pot until hubby caught Skipper sleeping on it this week. I can’t imagine how that’s comfortable, but why question it? I just need to remember to dust him off before coming into the house! Since I am officially signed up for and training for another half marathon, I’ll be making the nights before my long training runs quinoa nights. It’s one of my favorite pre-run/race foods. We got this cute little eggplant in our last farm box that I decided to use in this quinoa recipe. Eggplant can be hit or miss for me, the texture and flavor can be a challenge. 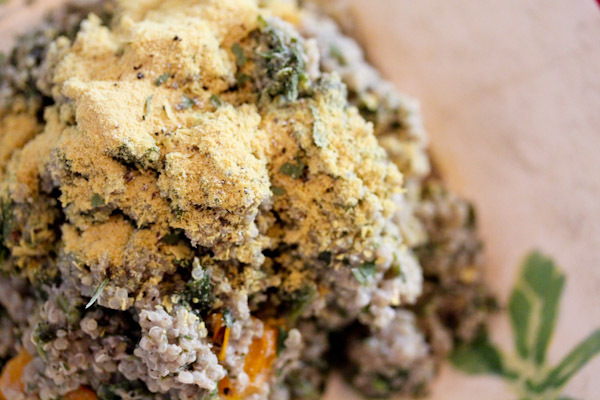 So I blended this one into a creamy sauce to simmer the quinoa in and it added a smooth texture and tangy, garlic flavor that’s a great foundational recipe to add even more veggies to. Bring quinoa and 2 cups of water to a boil over medium high heat. Reduce heat to a simmer and cover. 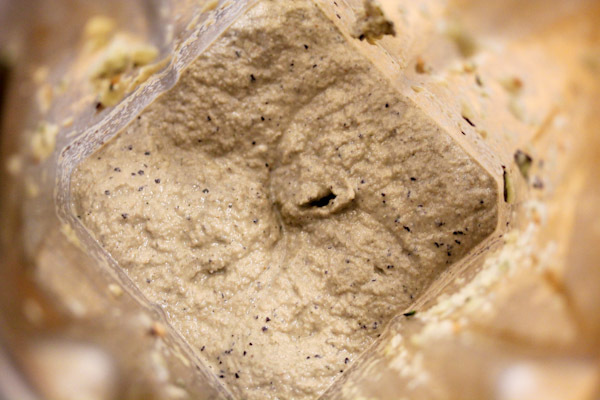 Place eggplant, apple cider vinegar, hemp seeds, garlic, and 1/4 cup water into a blender and blend to a creamy texture. 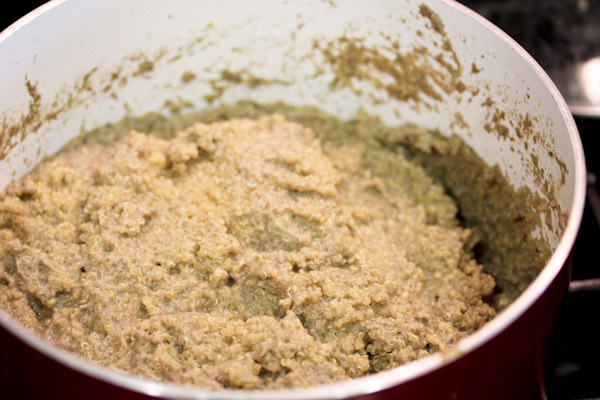 Stir eggplant mixture into the quinoa and simmer covered for about 15 minutes, or until loose liquid is absorbed, stirring frequently. Add salt and pepper to taste and any additional chopped veggies you’d like, serve and enjoy. Makes 4 servings. 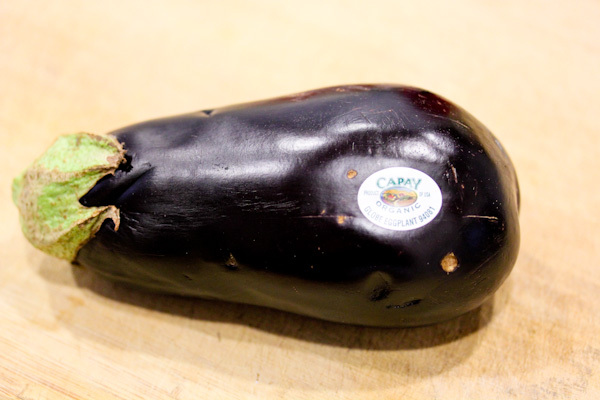 The sauce is very thick and creamy, you can adjust the water amount depending on the size of the eggplant. And while delicious, the look of the quinoa wasn’t too appealing and needed something else. 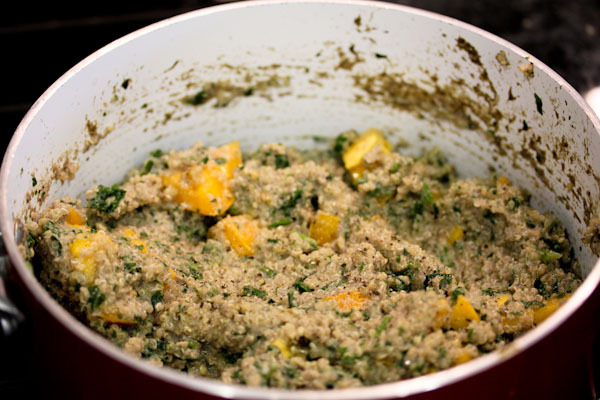 I added chopped frozen spinach and heirloom tomato to add more texture and color to this one pot meal. And also added salt and pepper to taste here. 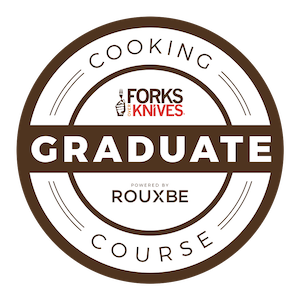 The flavor and texture was great, it have a creamy, savory, and tangy pop while being very hearty and filling. Cute pic of Skipper! 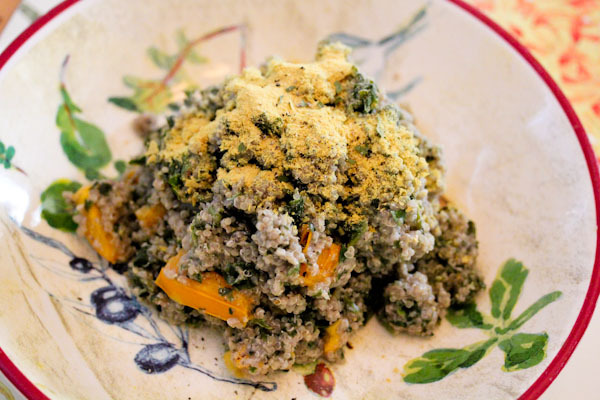 And this quinoa dish looks fantastic – yum! Your dog is too funny! Alex and I are training for the Women Rock 1/2 marathon in Chicago this month. We will definitely try this recipe. 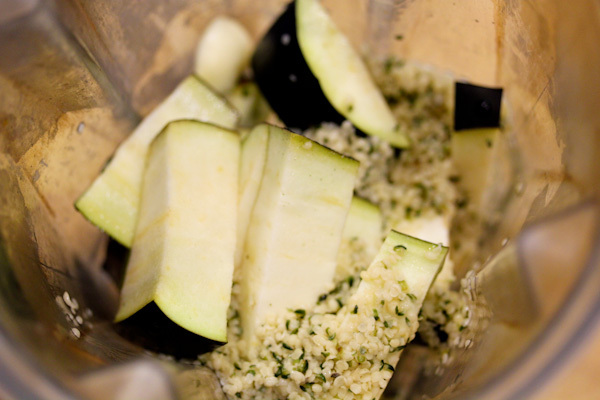 We adore eggplant and quinoa, so this is a win-win recipe in our book! OMG! Skipper! LOL Soooooo cute!!!! Great looking dish! I know what you mean about the eggplant but I think you had a great plan with it!! !